When you get in between Philadelphia and the Jersey shore, you roll into an odd region of the state known for its sandy soil and weird pines (the pine barrens). Around this habitat, you find a lot of cranberry and blueberry farms and accordingly, such towns as Hammonton (the self-proclaimed blueberry capital of the world!). While passing through town, I decided to try out a local coffee operation called Casciano Coffee Bar & Sweetery. Granted I never had heard of it before, but since I don't frequent the area a lot, I figured to give it a go. 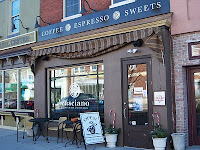 Casciano sits on the main avenue of Hammonton in a charming brown store front with a few outside tables, complimented with free parking and a second entrance in the back. The interior displayed a long shop split in half by the kitchen and bathrooms; the counter and some tables in the front and much more seating in the back. The overall ambiance seemed to focus more on average American decor and though not compelling, proved very comfortable. 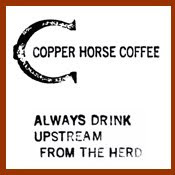 The coffee hails from Mountain Peak Coffee Roasters, based out of Forked River, NJ. 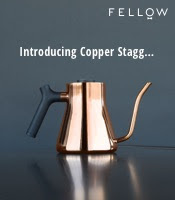 I sampled a cup of their Colombian via drip; the brew proved bright with hints of lime, flavors of olive oil, oregano and Earl Grey all encapsulated in a medium-bodied coffee that wasn't half bad. The espresso, pulled short/medium, had a grapefruit sourness followed by a strong milky taste and ending with cardboard and a deep, charred flavor (i.e. the espresso could stand to improve). The tea is Republic of Tea. While Casciano shows a lot of promise, I can see some areas that, if developed, could send them further towards the top. In the meantime, if you are in town, give Casciano a try for yourself. I have been in Casciano Coffee bar in my recent trip to the US last month. I have been lucky to taste the quality of coffee they offer. I recommend this coffee bar to all the people who visit Hammonton. They serve one of the best espresso coffee I have tasted.